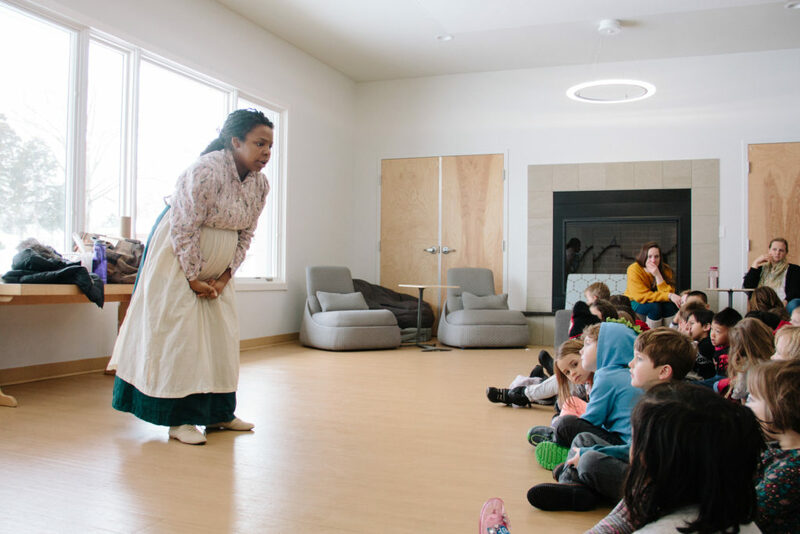 Tuesday and Wednesday of last week Villa di Maria was fortunate to host actor Erika Roberts from the Missouri History Museum’s ACTivist program. She graced us with four sessions individually tailored toward our Extended Day through Upper Elementary children. She subtly shifted the depth of each presentation based on the age of the children. 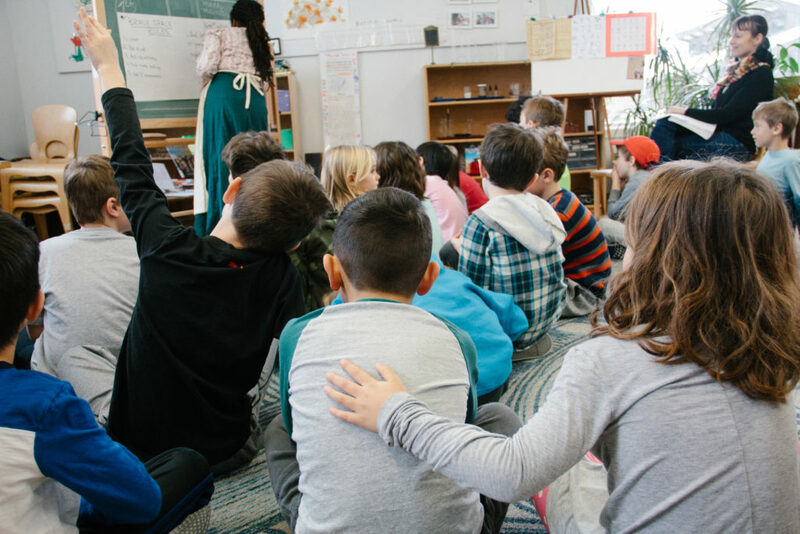 The session began with discussion and acceptance of Brave Space Rules, including refraining from assuming other people’s thoughts or feelings and using “I statements” when speaking. Erika clarified the Brave Space Rules in terms that made sense to her audience and continually checked for understanding. Erika then moved the students on to a discussion around rights, particularly civil rights. The ACTivist program defines rights as “things that we are all allowed, or should all be allowed, to do. 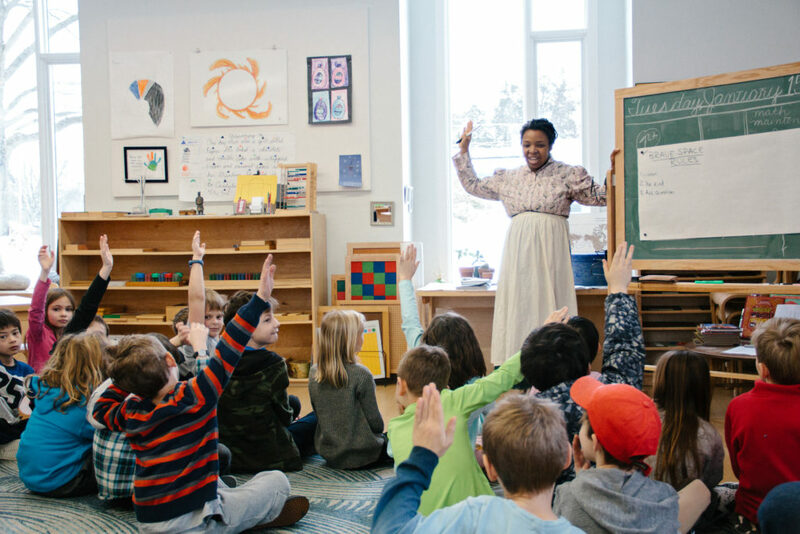 Rights are important for human beings to have to make sure we are happy and healthy and treated fairly.” The children deftly identified some of their own rights and Erika adeptly clarified the distinction between rights and privileges. The next step was to define civil rights, this narrowing led civil rights being defined as “the rights that we have because we’re American citizens.” Throughout the presentation she continually engaged the children in the conversation which both engaged them and let her know the depth of their understanding. 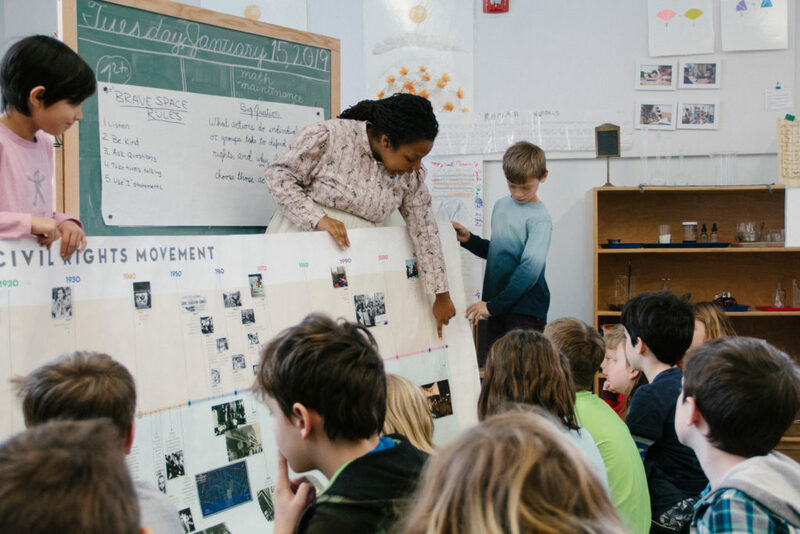 She asked children to identify ideas and events they didn’t know and used this as an opportunity for further exploration. The conversation on civil rights naturally led to discussion of instances in which civil rights are not respected. The children brainstormed how it would feel to have one’s right removed and what they might do in a situation where their rights were infringed upon. This introduced a thoughtful discussion of why people make the choices they make to defend their, or others’, rights. 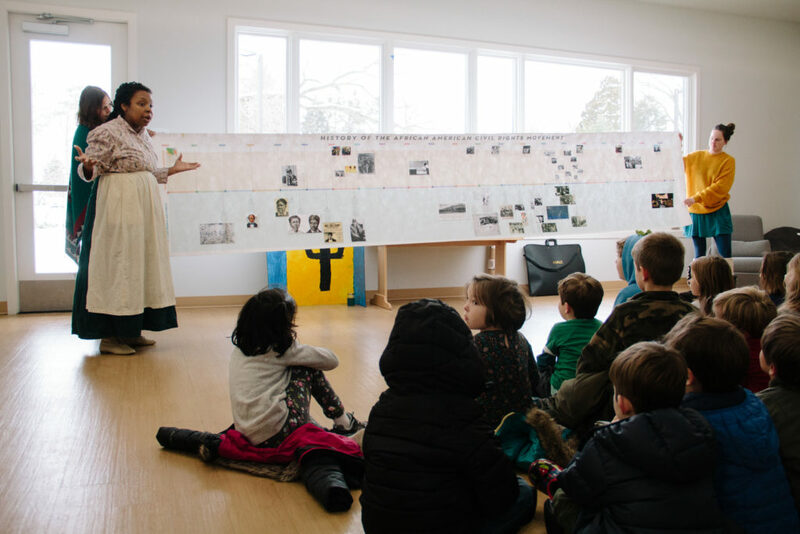 In full Montessori fashion, Erika came with a timeline of African American civil rights from 1803-present, which included national and St. Louis-specific events. 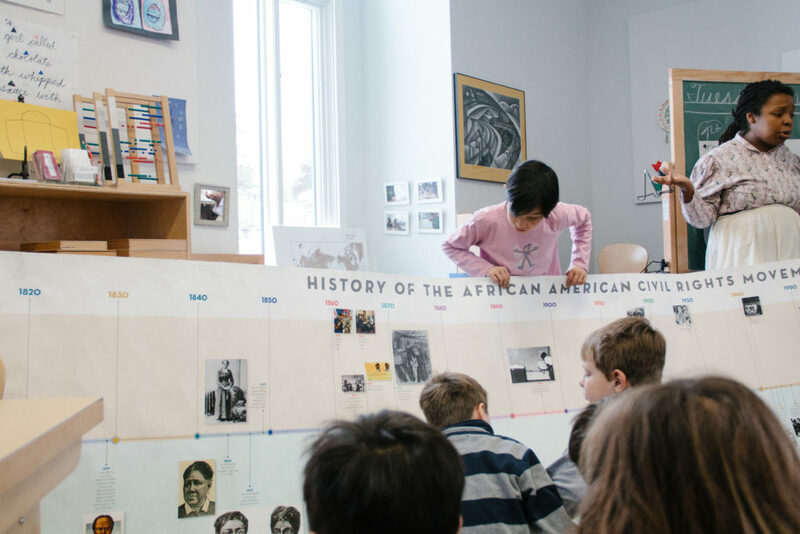 It was encouraging to witness the Upper Elementary children comment on Dred and Harriet Scott’s case which they were all familiar with from past studies. The session concluded in a performance piece which involved song and storytelling at its finest. The children were captivated by the actor’s portrayal of the life of Lucy Delaney. Even the youngest children understood the essence of the story is of a young woman’s quest for freedom. 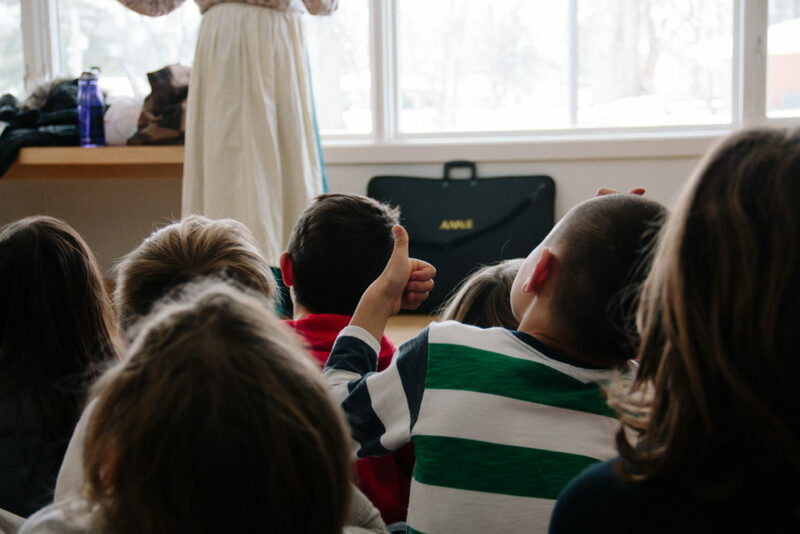 The Missouri History Museum’s program is fantastic, and our children benefited from taking part in such thoughtfully planned and skillfully executed event. Classrooms are further building on this experience and encouraging children’s curiosity through books and research projects. 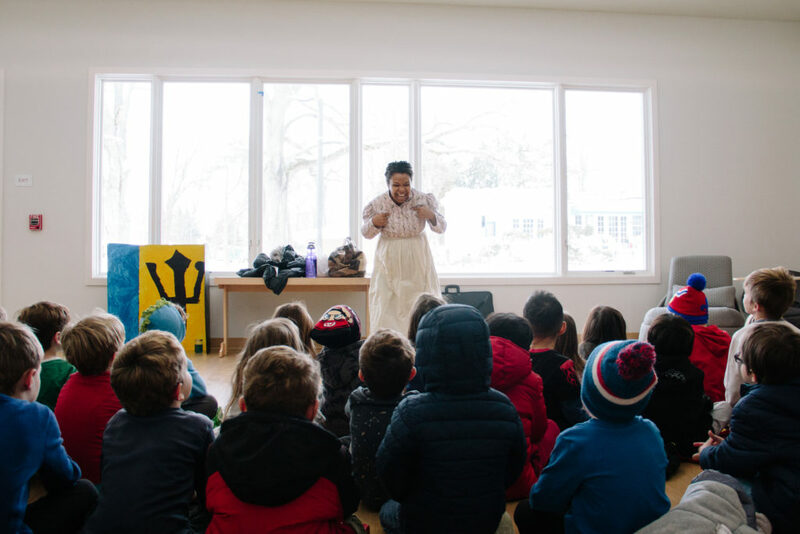 For those interested, here is a description of the historical figure that was portrayed for the children: Lucy Ann Delaney, born Lucy Berry (c. 1830 – after 1891), was an African-American author, former slave, and activist, notable for her 1891 narrative From the Darkness Cometh the Light, or, Struggles for Freedom. This is the only first-person account of a “freedom suit” and one of the few post-Emancipation published slave narratives. The memoir recounts her mother Polly Berry’s legal battles in St. Louis, Missouri for her own and her daughter’s freedom from slavery. For her daughter’s case, Berry attracted the support of Edward Bates, a prominent Whig politician and judge, and the future US Attorney General under President Abraham Lincoln. He argued the case of Lucy Ann Berry in court and won in February 1844. 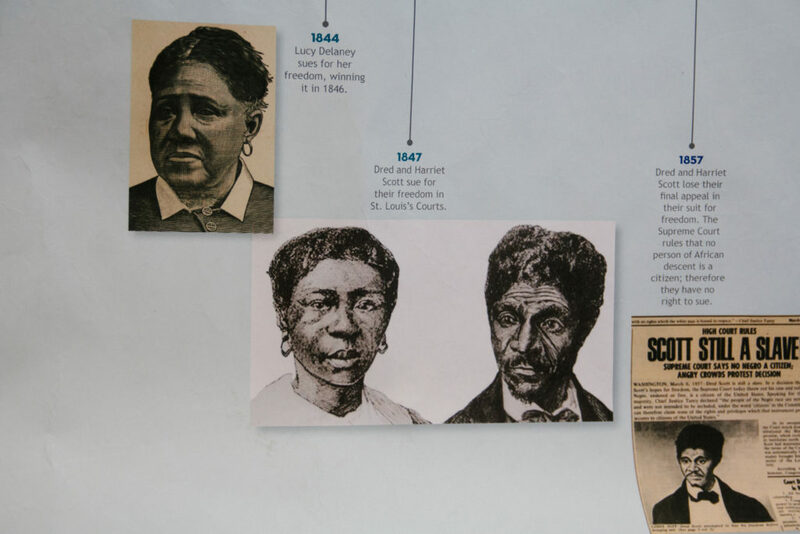 Their cases were two of 301 freedom suits filed in St. Louis from 1814 to 1860. Discovered in the late twentieth century, the case files are held by the Missouri Historical Society. This blog post would not be as rich without the help of Jade Venditte. Jade, thanks for sharing information, giving insightful feedback and bringing this presentation to our community. The pictures which truly help capture the presentation are thanks to the ever talented Melinda Smith.